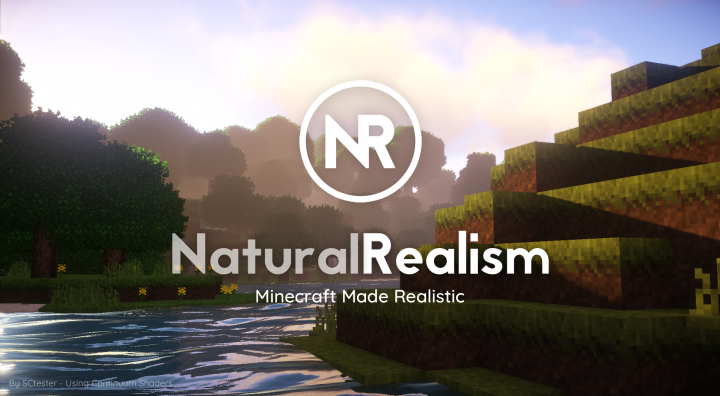 NaturalRealism is a texture pack which aims to make Minecraft more realistic, by giving it a softened and refined feel. 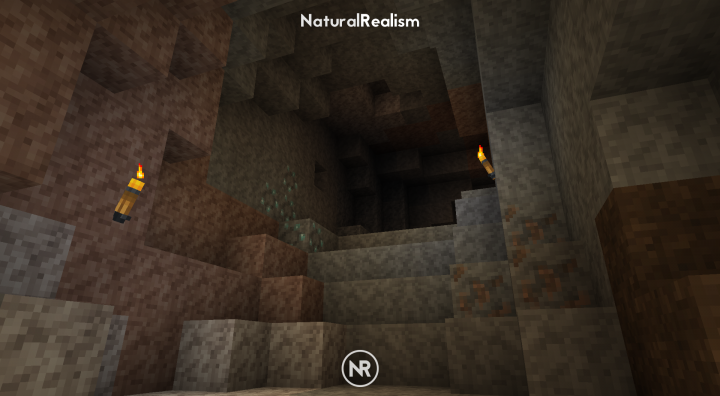 However, it manages to do this while maintaining the default 16x resolution. 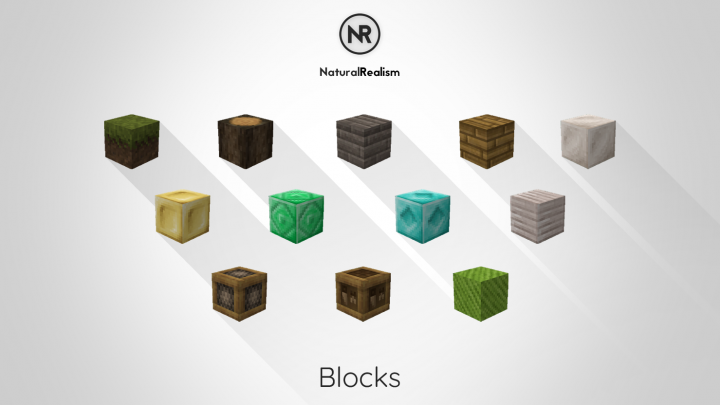 What this means is that you won't be losing any frames while playing with this texture pack. 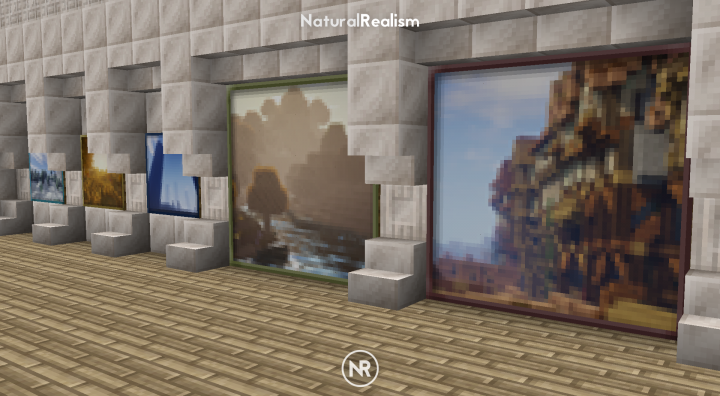 Additionally, this will be perfect for those who like how the game looks by default, but would like to spice things up a bit with a slight medieval/rustic feel. 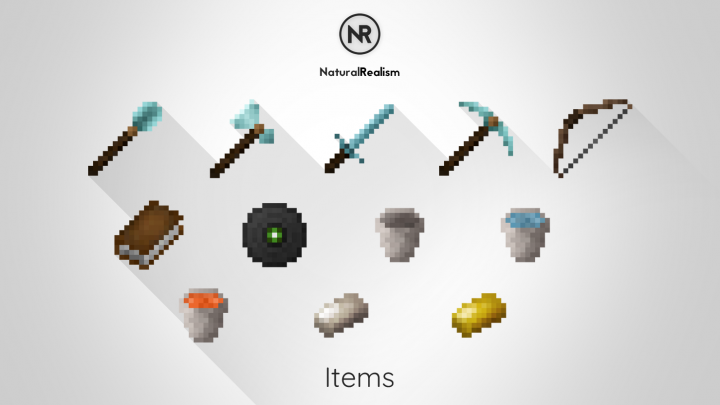 This texture pack works for Minecraft versions 1.11 and 1.12. 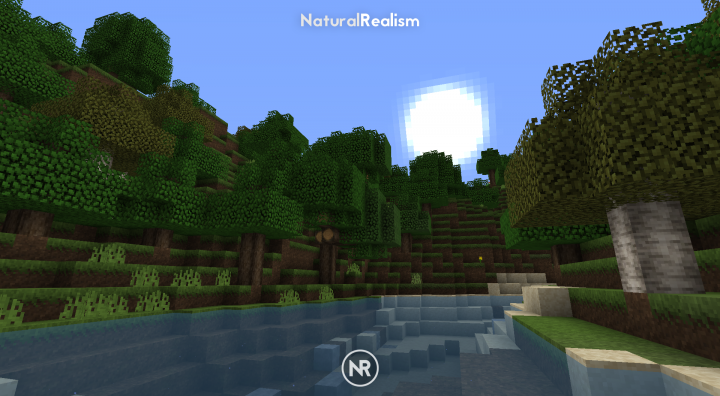 In the resource pack showcase video and main image, Continuum Shaders were used. 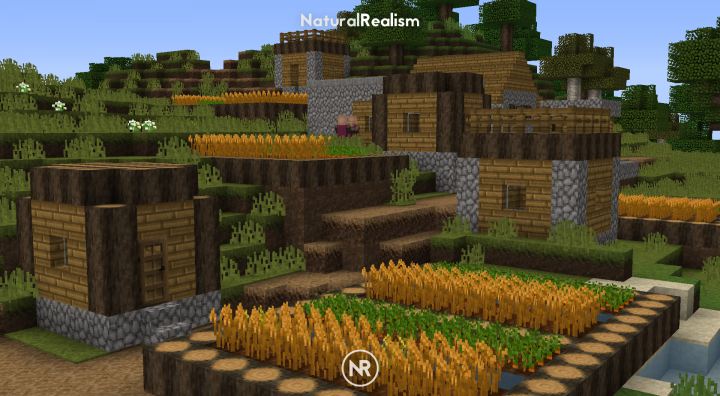 The Better Foliage Mod was also used in the header image. Feel free to share images and videos using this texture pack, however credit would be appreciated. 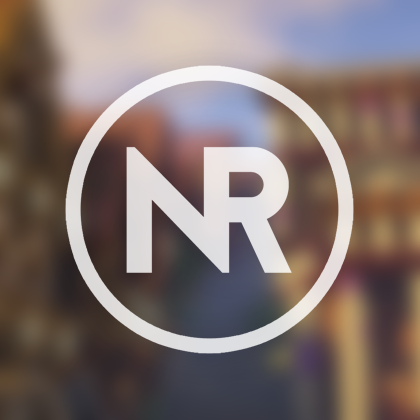 Do not re-upload this pack, or any part of the pack without my permission. Hello, your work is so good, the original world is more vivid. So I want to reprint this work to the Minecraft community in China so that my friends can understand and download more easily. At the same time, I will mark the author's name and the far-reaching link in my article and translate its content. I would be grateful if you can agree, I will inform you after the release and send the link.English is not my native language, the grammar may be wrong, please forgive me. OK，thank you very much.I didn't reply to you because of studying, I am sorry.